Dallas Cowboys quarterback Tony Romo made no secret of the fact that he really wanted the team to do all they could to land La’el Collins, and it’s not hard to see why. Collins makes an already very good offensive line better, maybe historically loaded, and that would directly benefit any quarterback, particularly a 35-year-old quarterback who has two back surgeries in his recent past. 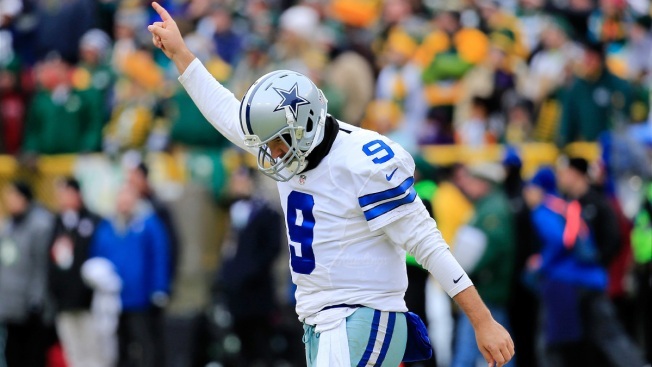 Romo showed in 2014 that he hasn’t slowed down at all to this point--it may have been his best season ever--but his continued effectiveness largely hinges on the line’s ability to keep him upright. “All morning long when we were meeting, doing our business, he was calling all the time, ‘What’s going on? What’s going on?’” said owner and general manager Jerry Jones, per ESPN Dallas. “What he said [Wednesday] night [was], ‘I plan on playing five more years and what we’re putting together here will allow me to do it.’"
When Jones hosted Collins for dinner at his home on Wednesday night, Romo was there, and he left a lasting impression on the LSU product.